When I was a kid, I never thought about being a farmer. It’s not that I was opposed to the idea; I was just never exposed to the idea. I’m hoping to change that through my efforts to recruit a new generation of farmers. Farming is definitely not for everybody, but I’d like to at least have a career in farming be on the radar of young people so they can consider it as an option. 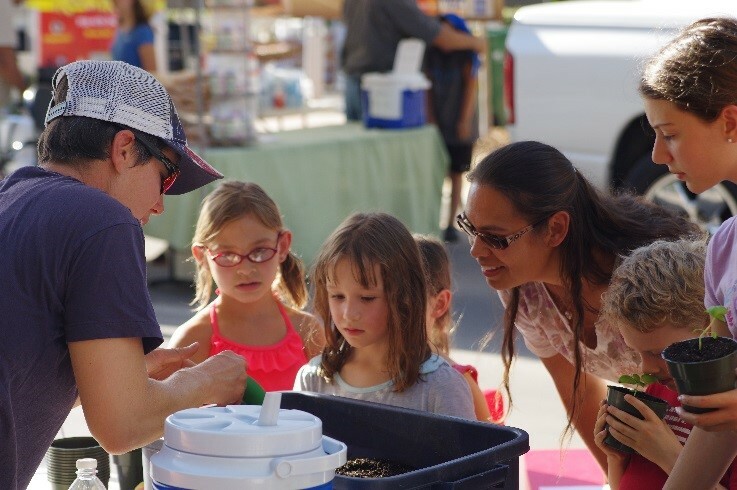 At a recent West Sacramento Farmers’ Market, I reached out to children and adults about a career as a fruit and vegetable farmer. Despite the blazing 100-degree heat, over 35 people stopped by my booth to pot up a basil seedling and chat about life as a farmer. 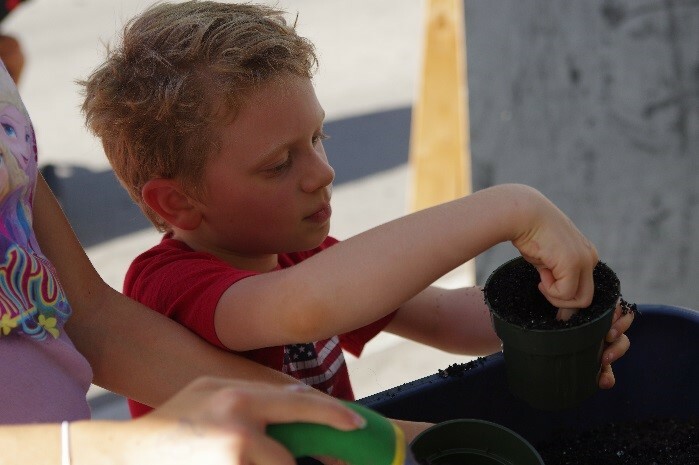 Both young and old, first-time planters and experienced home gardeners alike, enjoyed the hands-on planting activity. After getting over the initial shock that the plants were free, market-goers dug in, literally. 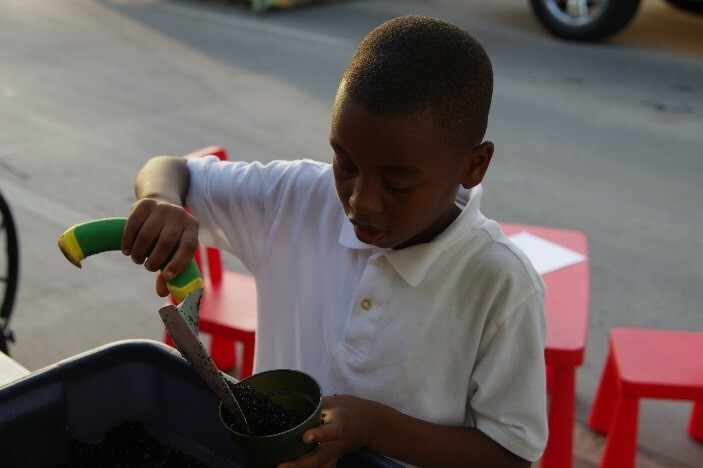 Although gloves were available, everybody chose to get their hands dirty, digging in the dirt to fill their pot, make a hole for the seedling, and gently tuck a small plant into its new home before giving it a drink of water. There’s just something about having your hands in soil that is calming and restorative, not to mention fun. “Plants are a lot like people,” I told the participants. “They get thirsty on a hot day, so be sure to give your plant water.” After walking customers through the basics of caring for their basil plant, I also handed them a short set of written instructions to take home. As the evening went on, I enjoyed seeing the tiny plants making their way around the market, gently carried in the hands of young growers. I chose basil seedlings because they can be grown indoors or outdoors and don’t take up much space, making them ideal for apartment dwellers or those without an existing garden. Participants gather around the table, waiting their turn to pot up a plant. In addition to the basil planting, I also offered a Farmer-Aimee-themed coloring booklet to take home and/or color at the market. Five pages long, the short book walks young readers through a few aspects of life as a fruit and vegetable farmer, including planting, weeding, harvesting, and selling at the farmers’ market. Finally, I created a trifold brochure titled, “Thinking About Becoming a Vegetable Farmer?” that briefly describes the benefits of being a farmer, what is needed to get started, and my own story of how I became a farmer and the rewards of the job. The outreach materials are available for download at http://www.rootcausefarm.com/blog/recruiting-the-next-generation-of-farmers and can be used without any restrictions. I hope that the materials prove useful to others in recruiting new farmers. 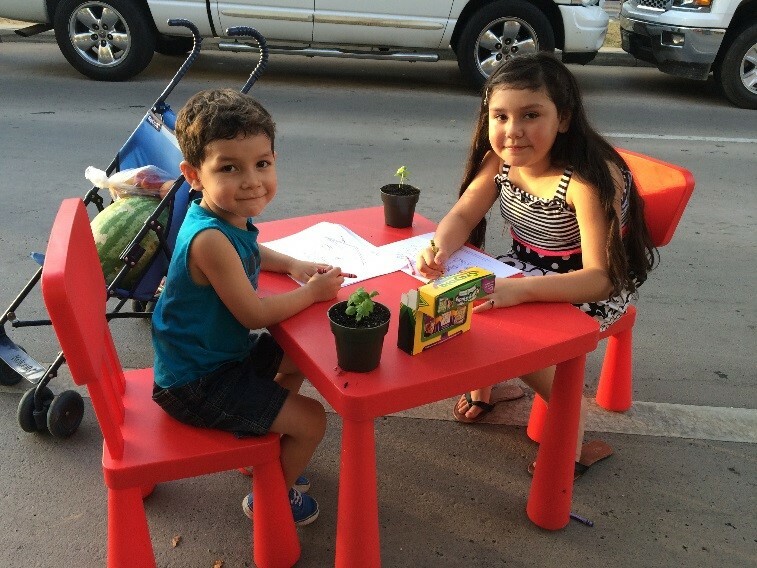 Two participants take a break from coloring to smile for the camera. As the coloring book states, “Being a farmer is hard work, but it’s also lots of fun.” It’s true: “Farmer Aimee loves being a fruit and vegetable farmer because she gets to work outside, move around, grow yummy food, and meet nice people at the market.” Maybe some of those nice people will become farmers themselves someday, and think back on how it all started with a single basil plant. This farmer sure hopes so. 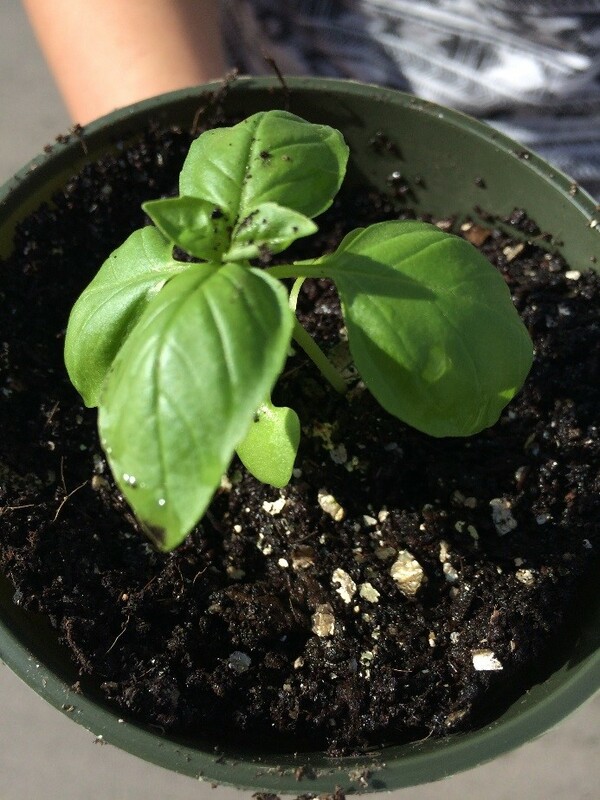 A young basil seedling, ready to go home with a future farmer. This entry was posted in CA Farm To Fork website on September 21, 2015 by California Farm to Fork.